Venue says Rainy day? No problem! Settle down with an Ube Hot Coco, or one of our Barako Bean coffees. 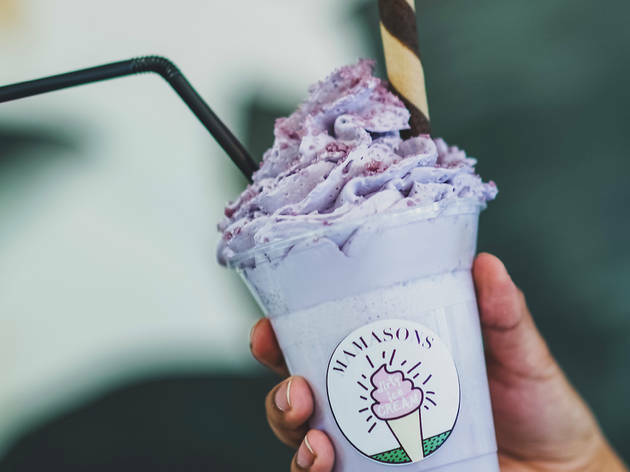 A Filipino take on an ice cream parlour, serving colourful concoctions with lots of Eastern influence. 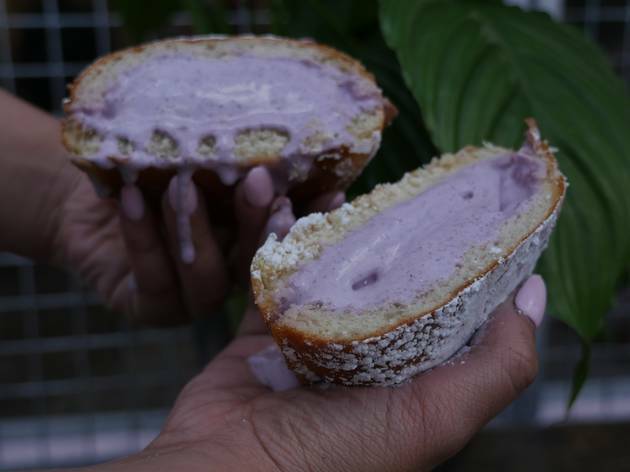 For instance ube flavour – a purple coloured yam from the Philippines – which you can get in a 'bilog', Mamsons' signature toasted bun filled with ice cream. 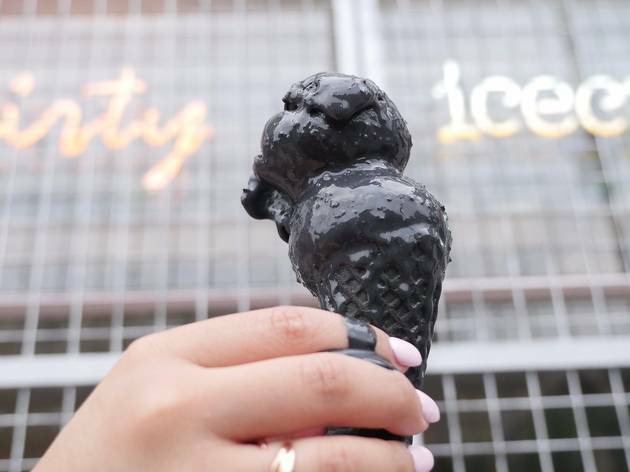 Or pair it with a goth-tastic scoop of black coconut (charcoal made from the coconut shell is what gives it the ghoulish colour). Celebrating it's one-year anniversary, Mamasons has been treating London to the eclectic flavours of the Philippines. 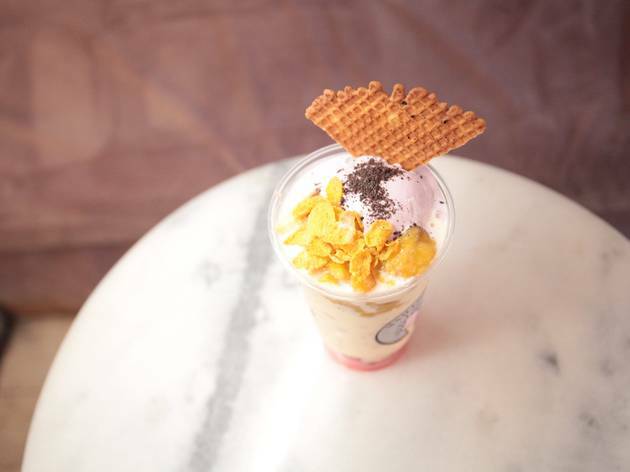 As Europe’s first Filipino ice cream parlour, we've been dedicated to serving up island desserts you'll struggle to find anywhere else. 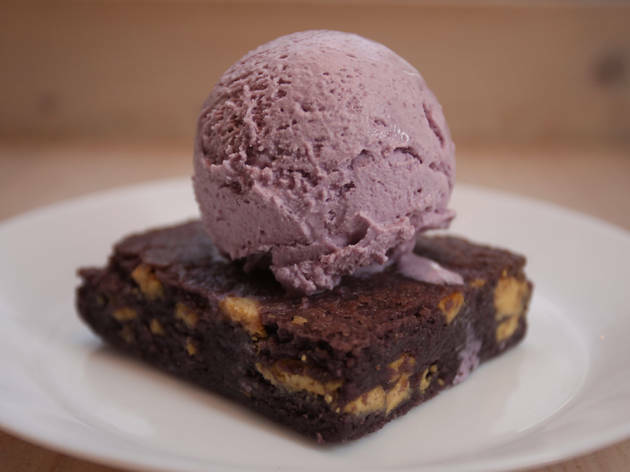 Treat yourself to an ube (purple yam) scoop in a black cone, or matcha ice cream in a toasted bilog! We've got a colourful range of mainstays, and we're constantly experimenting with new flavours and weekend-only desserts. To see what the newest offering is, find us on Instagram (@mamasonsdirtyicecream). 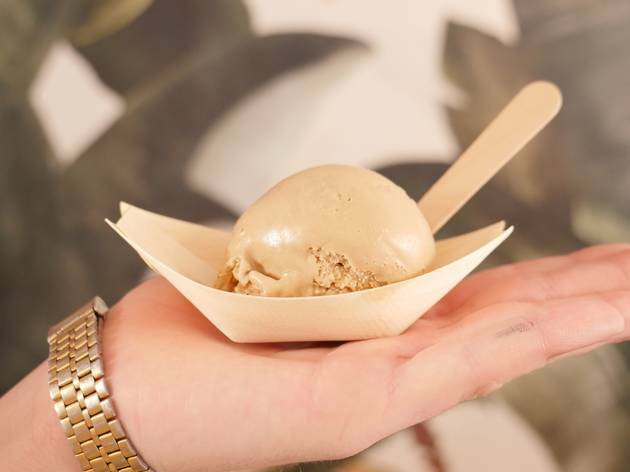 Get some ice cream that tastes even better than it looks. The colours are perfect for your next holiday snap, and the flavours are just as vibrant. 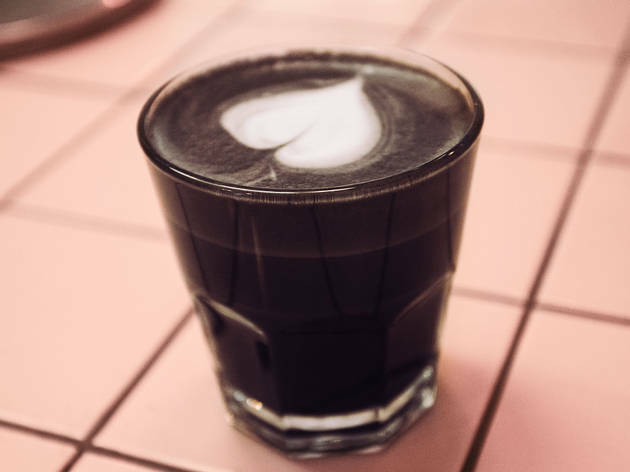 You won't find any vanilla here, but you will see plenty of our black buko (coconut charcoal) and Milo (malted chocolate). Vegans, don't be scared! Our calamansi and guyabano sorbets pack a punch and are dairy-free. For colder days, we offer Barako Bean coffees and an assortment of coffees. 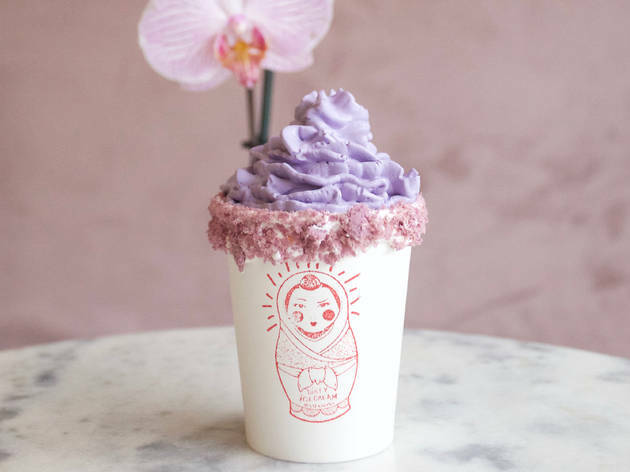 Our winter best seller is our ube hot coco - melted white chocolate and ube, topped with ube whipped cream and marshmallows. 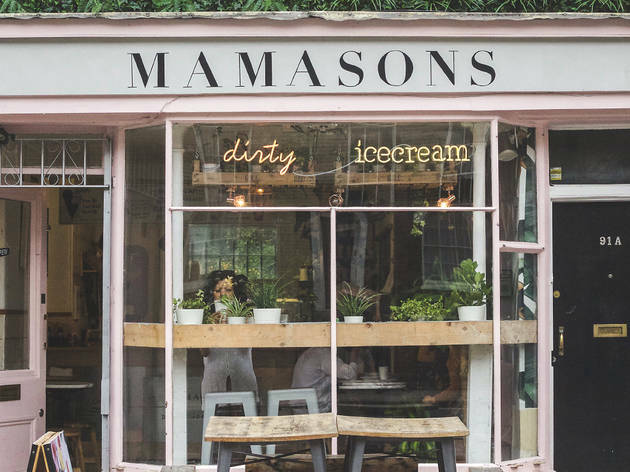 It's all housed in a rustic, charming interior, inspired by the dirty ice cream carts of the Philippines. 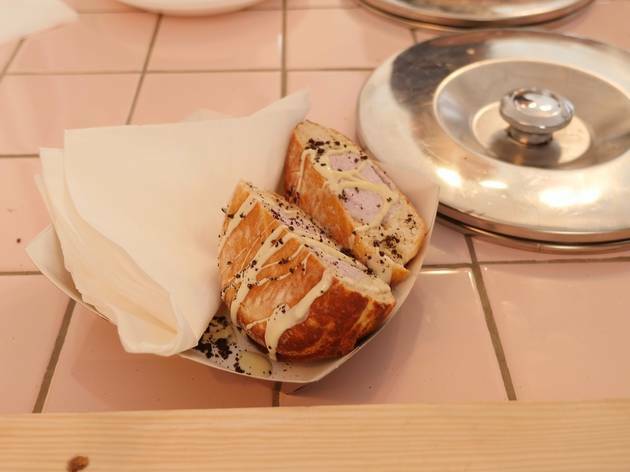 Just a few minutes down the road from Camden Town, you'll come for the ice cream and stay for the beautiful backdrop. 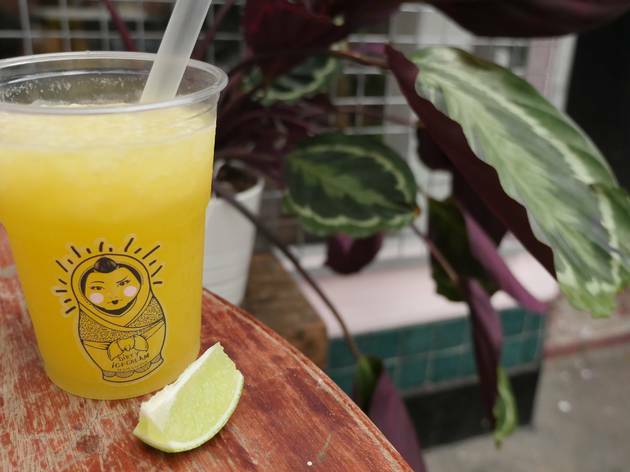 A very fun Filipino coffee/dessert shop in Camden. They have the most instagrammable dessert and drink creations introducing the delights of Philippines to London. 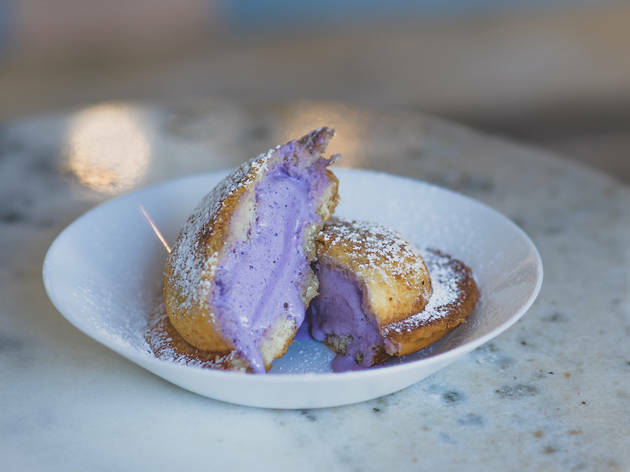 Dishes are on the sweeter side but flavours like ube and coconut are worth the try. Nice décor with few seats so be prepared to take out. Very unique! Nabbed an Ube Bilog AND an Ube shake because....well...Ube is LIFE!!! The bilog was amaaaazing! 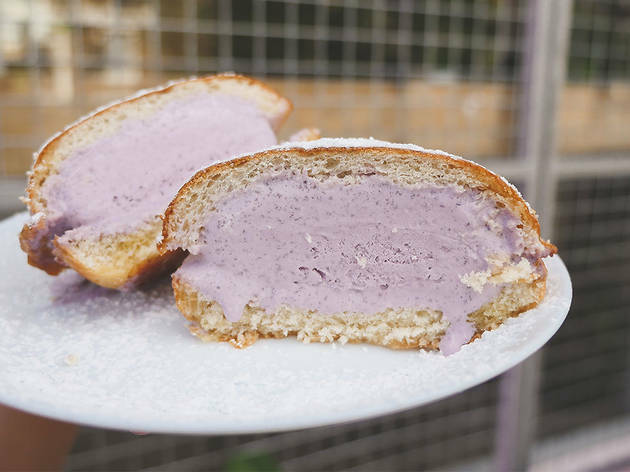 The best invention ever with a cooling Ube icecream filling in a warm pandesol (soft slightly sweet breadbun) I mean it was a work of art! I recommend it as a no-brainer to anyone who hasn't tried it!! 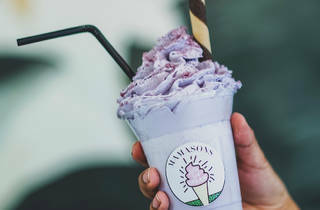 Can't wait to go back and try the halo halo and black buko (coconut) icecream! Heads up, all of there offerings are highly instagrammable!! GO GO GOOOO!!! !